John Hart is one of the kings of US 'rural noir', a master storyteller who's never really written typical thriller novels. From when he first broke through 12 years ago with the Edgar-shortlisted debut THE KING OF LIES, Hart has offered readers an intoxicating mix of lyrical prose, richly drawn North Carolina landscapes, captivating crime storylines, and chasm-deep characters. Hart, one of only two living authors to have won two Edgar Awards for Best Crime Novel (the other being James Lee Burke), is the kind of writer compared to literary maestros as much as fellow crime bestsellers. 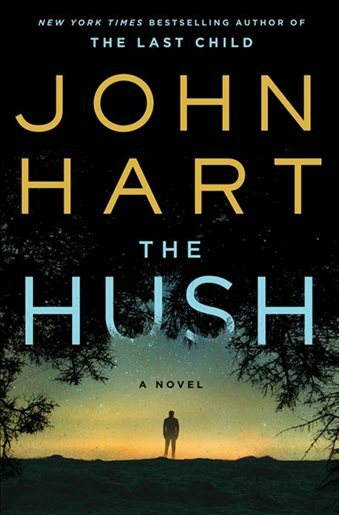 But even given that resume, Hart throws crime readers a couple of major-league curveballs with THE HUSH, his new tale. After a series of remarkable standalones, for the first time ever Hart has brought a protagonist back. THE HUSH sees the return of Johnny Merrimon and Jack Cross, childhood best pals and adolescent heroes from THE LAST CHILD, a Southern Gothic mystery masterpiece that swept the Edgar, CWA Ian Fleming Steel Dagger, and Barry awards, among other accolades. In that tale, Johnny and Jack teamed up as Johnny searched for his twin sister, who'd vanished a year before. A decade later, Johnny and Jack are young men. Johnny has retreated to a self-sustaining lifestyle in a remote cabin on the swampy, sprawling property of Hush Arbor that was in his family more than a century ago, and passed to him after the events in THE LAST CHILD. Johnny's land-rich, but cash poor, and many vultures are circling, eyeing up the rugged landscapes he calls home. Johnny is living life the way he wants, on his own terms, and Rowan County locals view him as as wild and untamed as the land he inhabits. Books have been written about his exploits; he even has groupies. Jack, who was the wilder of the pair as kids, has turned himself around from teen tearaway to young lawyer starting his career at a well-regarded local firm. He's Johnny's only link to normal life, but even he finds himself questioning his old friend's insularity, and his strange attachment to Hush Arbor, a place full of dark and mysterious history, that seems to affect visitors in bizarre ways. As Johnny's ownership of the land comes under threat from multiple angles, Jack wants to help his old friend, but also worries about the dangers that lurk among the swamps and trails of the Hush. And it's those dangers that provide a further curve ball. 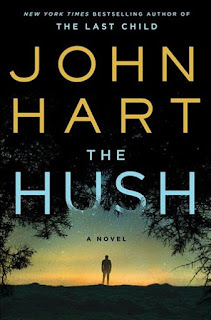 Hart has always had a strong sense of the rural environment in his thrillers, the places and the people who populate them, but in THE HUSH that sense of place casts a long shadow. Not just a 'character-like shadow', it is pretty much a character in itself, with a swirling, malevolent personality. There's an elemental feel to THE HUSH, an ancientness, or mysticism. It's a thriller with more than a touch of magic realism. So a few curve balls, and several places where the author could strike out. But in Hart's hands, he connects. Beautifully written, with that vivid, elemental sense of place and populated by an eclectic cast of richly drawn rural characters: blue-collar workers, rich landowners, entitled businessmen who fly in for hunting, a range of local lawyers, outdoors enthusiasts, and strikingly poor people that feel a great connection to land where their ancestors spilt blood or were enslaved (or both). THE HUSH can at times feel like a bit of an experiment from Hart, but for me, it worked.